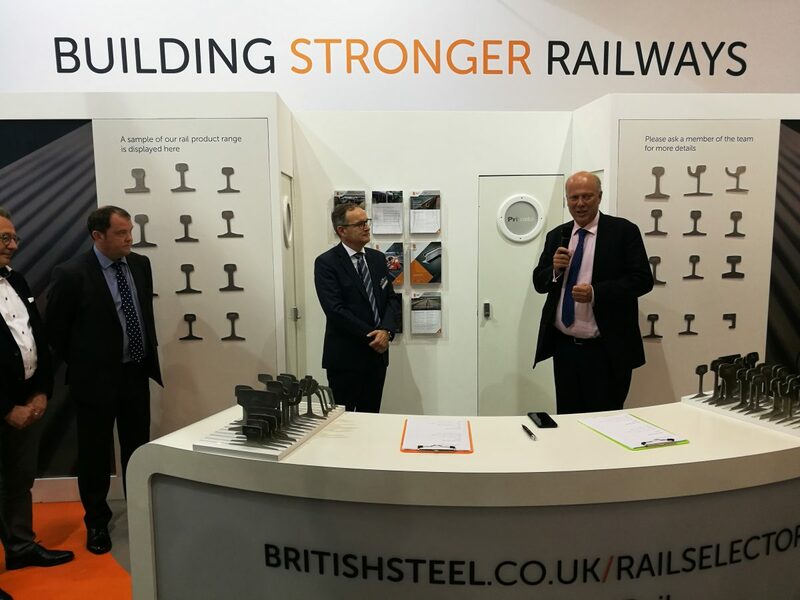 British Steel has announced two major contract wins during the rail trade fair InnoTrans in Berlin. As well as an award for rails from Belgium’s rail infrastructure manager Infrabel, British Steel has also been given a £200 million two-year extension to supply rail to Network Rail. With UK transport secretary Chris Grayling looking on, both contracts were rubber-stamped at the show with representatives from all parties putting pen to paper on the deals. The contract win from Network Rail will see British Steel supply Network Rail with more than 200,000 tonnes – or 4,000km – of rail. Among the rails British Steel will be supplying are two long-life rail innovations – HP335 and Zinoco. HP335 is designed to cut life cycle costs through reduced grinding frequency, reduced wear and extended rail life while Zinoco is a corrosion protected rail designed to greatly extend rail life in aggressive environments such as level crossings, tunnels and coastal regions. In total, British Steel supplies Network Rail with 95 per cent of its rails.